For thousands of years, humans thought that Earth was at the center of the universe. It was only in recent centuries that it became an established scientific fact that Earth orbits the sun, and later that the solar system — along with hundreds of billions of other stars — orbits a common galactic center. Until very recently, it has been very difficult for scientists to visualize what the Milky Way looks like given that we are embedded inside it. Artist impression of a warped Milky Way. Credit: CHEN Xiaodian. Thanks to observation, reconstruction, and comparison to other galaxies, researchers have a fairly accurate idea of what our galaxy looks like. If you were to travel outside the galaxy and look down upon it from above, what you’d see is a barred spiral galaxy with two spiral arms called Scutum–Centaurus and Carina–Sagittarius. But, the spiral disk is anything but stable, new research from China shows. The new study found that the farther away you travel from the galactic core, this disk becomes increasingly warped and twisted. 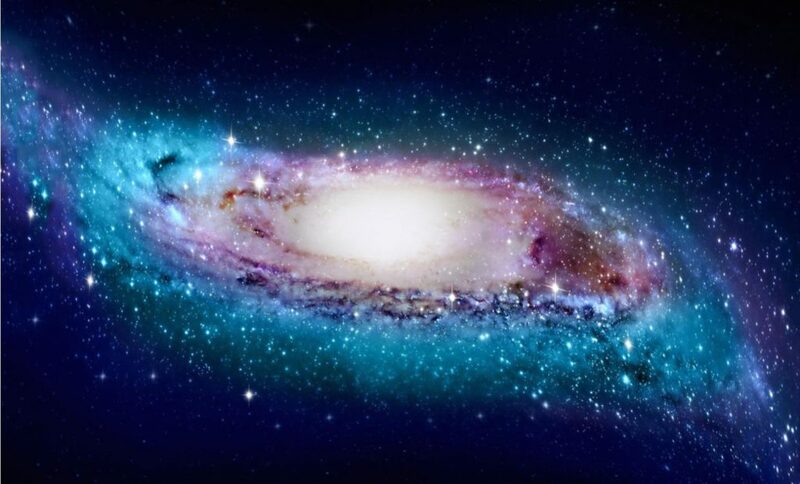 The Milky Way’s S-like appearance at its edges is due to the fact that gravity becomes weaker the farther you are from the galaxy’s inner regions. Since hydrogen atoms in the far outer disk are no longer confined to a thin plane, they get warped. There were many challenges in this study. One of them is establishing distances from the sun to the Milky Way’s outer disk when you don’t know what the disk actually looks like yet. The research team at the National Astronomical Observatories of Chinese Academy of Sciences (NAOC), led by Chen Xiaodian, had to employ a new catalog of variable stars known as classical Cepheids. Such stars are hot and massive – five to twenty times the mass of our sun and up to 100,000 times as bright. They also pulsate radially for days to months at a time — and this period of pulsation can be combined with the Cepheid’s brightness to reliably establish its distance from the sun. A 3D distribution of the classical Cepheids in the Milky Way’s warped disk. Credit: CHEN Xiaodian. Because they are so bright, Cepheids can be clearly seen millions of light years away and can be easily distinguished from other bright stars in their vicinity, making them indispensable tools in any astronomers’ kit. For instance, it’s thanks to Cepheids that Edwin Hubble and Milton L. Humason were able to prove that the Universe is in a state of expansion. Now, Cepheids have proven their worth once more, establishing an important physical characteristic of the Milky Way’s disk. The same twisted spiral patterns have been seen before in more than a dozen other galaxies. Combined with these observations, the study’s results suggest that the likely culprit for the Milky Way’s warped spiral pattern is torque from the massive inner disk. 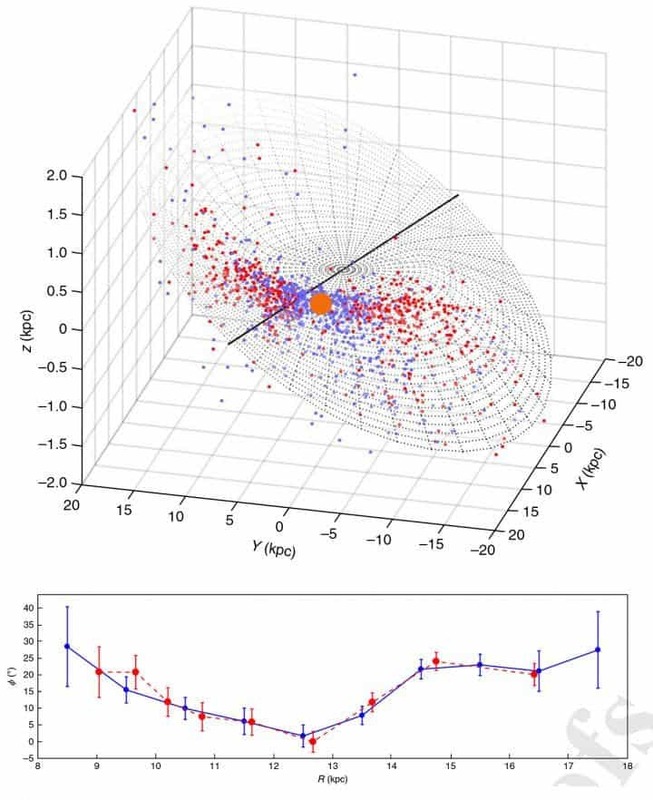 “This new morphology provides a crucial updated map for studies of our galaxy’s stellar motions and the origins of the Milky Way’s disk,” says Dr. DENG Licai, senior researcher at NAOC and co-author of the study published in Nature Astronomy.